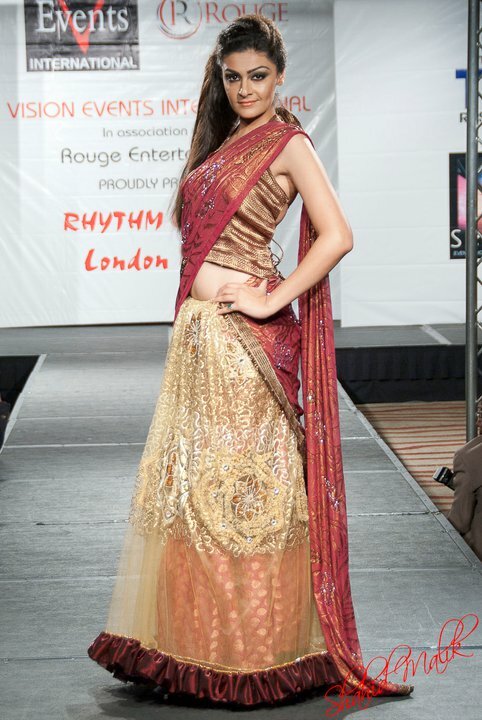 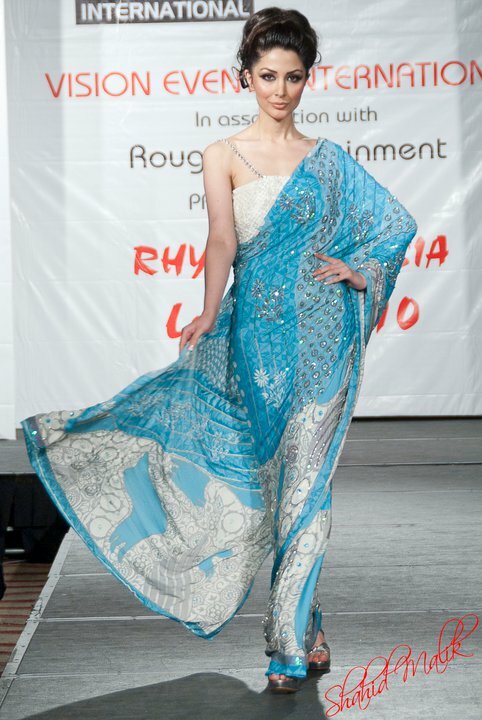 Another designer on the catwalk at the 2010 Rhythm of Asia fashion show in London was Adhvaitha. Their outfits provided a big change to all the long-flowing maxis on show from the other designers, although I'm not sure I'm really liking these outfits much! 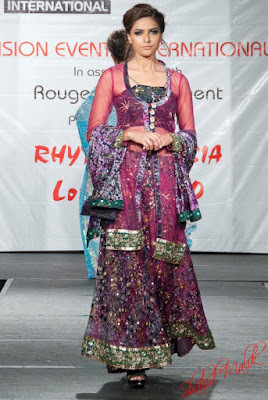 I'm quite drawn to the top on this outfit above, I like the detail but the skirt doesn't quite work for me. 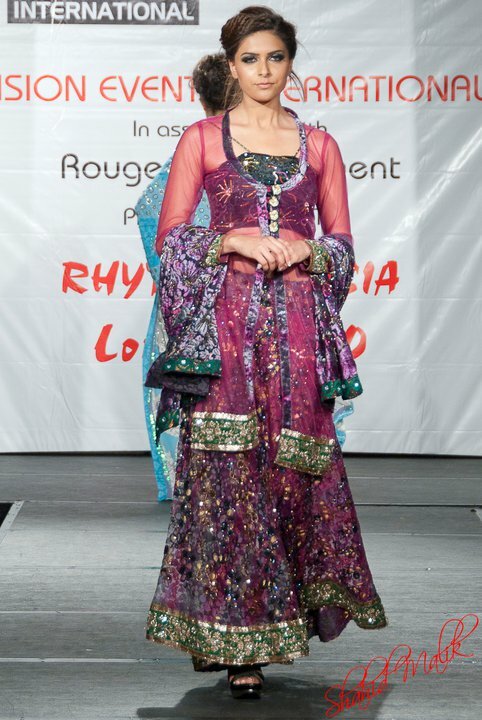 I have to say this purple and yellow ensemble is my least favourite outfit from this collection! 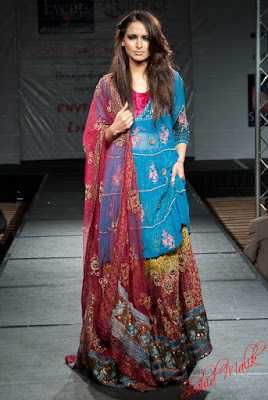 A big thanks for Photographer Shahid Malik for these photos.